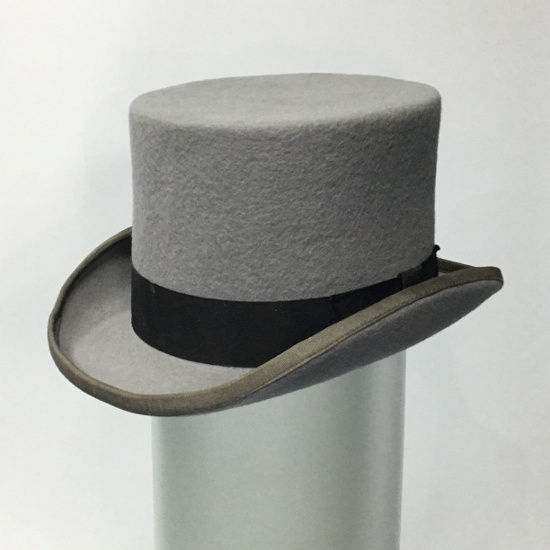 A grey 'topper' completes the outfit and is part of the dress code for occasions such as Royal Ascot. There seems to be no hard or fast rule as to whether black or grey is the correct colour to wear. typically, if the waistcoat or topcoat is grey, then co-ordinate that with a grey hat.